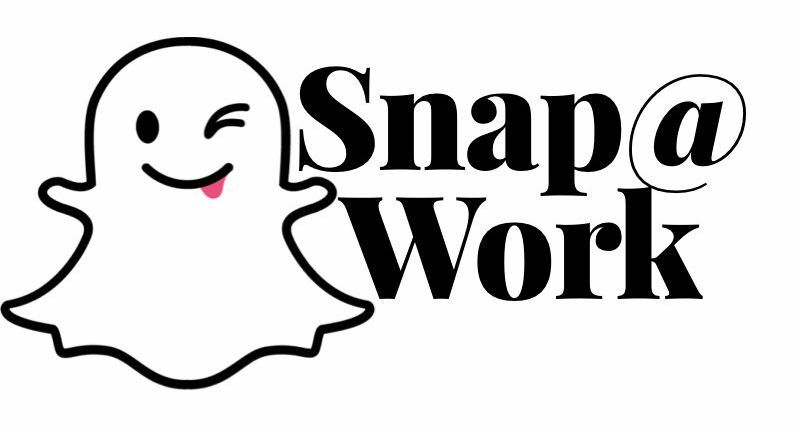 The Story Behind #GlobalSnapSwap: The 1st Ever Snapchat Movie – Snap into the Next-Generation! When I first started using Snapchat earlier in the year it was truly only because I had started following Gary Vaynerchuk as I began my entrepreneurial journey, Gary is a huge advocate for Snapchat and the ability to have an antique relationship and communicate with people. Course being me and always shooting for the top my first goal was to open a line of communication with the man himself but was sadly never responded too so naturally I went for the next best thing I could think of it as a bootstrapping startup entrepreneur was a Sharktank investor! I knew right away that I was passionate and motivated to start a business with my social media skills but I was clueless on how investments work other than watching a few shows on TV as to how deals were done. I’m not intimidated very easily and I like to go for the top so who better to start with than the millennial tech Enthusiast, Uber investor and highly profiled celebrity guest to the Sharktank show as a serial entrepreneur, Chris Saaca. I humorously feel on executing that relationship to you as I mostly I think the round with between him and his partner but the point here is that he actually responded and I had a direct line of communication open. I saw some serious opportunity there and I started following some of the top leaders in social media and professional leaders and began consuming, consuming, & consuming content, in all forms, as much as I could. I began using third party discovery apps, like GHOSTCODES as a prospecting tool only following those I could learn from and relate to while sharing my path on my own story. It was practical research and extremely valuable information straight from horses mouth, plus I love seeing things from different perspectives and places to see what was truly motivating these people. What I was surprised about was how easily you could reach these people and actually communicate with them by responding to their stories. I started shooting a lot of my own stories following my own journey into entrepreneurship learning as I grew & laughing as I failed all along the way. I made friends and grew followers but always seemed surprised to find was that so many people were in the same situation as I was, all across the world, and there were people who were more successful than us that we’re doing nothing but sharing their value and giving out content left and right to try to help people become better. And the best part is when you’re watching the amazing information a Snapchatter like Chris Kubby is dishing skills and tips and you have a question … he answers you right back! The GlobalSnapSwap Snapchat Movie: Curiosity and the open community and collective collaborative sense of Camraderie is inspiring and lead me on a mission I never thought I would do, I felt inspired and the need to do it just to show how fast one person could get all across the world and touch it whether it was a reality or in virtuality. The fact that I was able to gather up participants from over 30 different countries within a week to take part in a community collaboration Snapchat take over that without any single reason, motivation, or incentive for them to do so (in fact I asked them not to promote themselves and make it about them). The participants not only respected my wishes but went above and beyond anything I could’ve expected in terms of providing an accurate and enjoyable view of where they were from in fact someone to travel to other places to show as exciting monuments like Vicky Taylor and showing us Robin Hood and Erica Blair in Thailand or the beauty from an Airbnb in Costa Rica with Maria Fernando Castro and then ending in Alaska with the northern lights. It was epic… I had an hour and 20 minutes of thumb that was essentially a trip around the world in real time and first perspective in one day. You tell me anybody who can do that in that short of time from a company because I’ve never seen it happen. I laughed, I learned, I engaged and was authentic growing relationships with people like me from all over the world, it was amazing! The very different social influencers who participate in the movie became my friends and supporters as I too started to grow my personal brand as well as my start up. Now from using the app for that long I managed to figure out they were lots of little tricks behind the three button screen and so many cool ways that you could be unique to your storyline but also engage through text or audio messaging, make phone calls, and not only could you even have live video calls just like on FaceTime but also leave little mini video messages in bubbles! Previous postStop Sucking at Snapchat: #TackleTheWorld from the palm of your hand!